Susan Klein’s movement education system, Klein Technique,™ is the most comprehensive system of educating dancers I have come across in my training as a contemporary dancer. Susan has been teaching her codified exercises to the international dance community for 40 years, yet her work has gone relatively under-noticed by dance academia. Why hasn’t the Western dance academy been more receptive to Klein Technique™? One reason may stem from the dance world’s tendency to segregate, particularly when it comes to training and technique methods. Klein Technique™ has a significantly different approach to the body than traditional ballet and contemporary training, yet it has the ability to train dancers just as sufficiently, if not better, than more widely practiced techniques such as Cunningham, Graham or the RAD system. 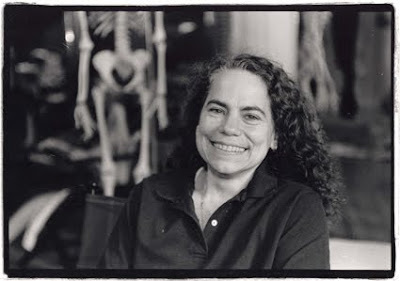 Instead of focusing on an aesthetic outcome- focusing on form- Susan created exercises to help increase coordination and connections throughout the body on the level of the bones using the muscles of deep postural support. Students who study Klein Technique™ increase their movement potential and artistry, but don’t reach the frustrating plateau often seen in traditional training, because they’re taught to use principles that underlie all movement. Without the restriction of a formulaic style, these principles allow for an in-depth understanding, so each student can reach their unique movement potential. Though Klein Technique™ was developed as a result of Susan’s own personal struggle with a knee injury in her early career as a contemporary dancer in New York, her system benefits healthy dancers and non-dancers alike. “Klein Technique™…serves as a way for people to work through individual injuries, to understand the workings of their own bodies and to heal themselves…the aim of my work is…for each person to get a body felt understanding of who they are, what their injury means and how to access the innate intelligence of their body rather than to ignore it. For the healthy dancer, it is a technique of discovery…it’s a way to learn to dance and move from an internal knowing rather than an external shaping,” explains Susan. 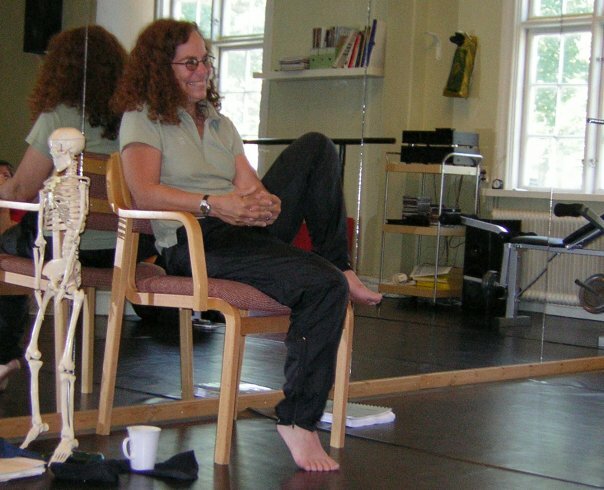 By going directly to the bones rather than the superficial muscles, Susan believes there is a better chance of changing and improving the function of dancers’ bodies. In her work, the body is discussed, analysed and understood--both intellectually and somatically--to teach dancers how to gain a highly developed kinesthetic awareness of their bodies by teaching them to move from an anatomical perspective rather than just a visual one. You won’t be directed to “hold your center” or “pull up” in a Klein class. 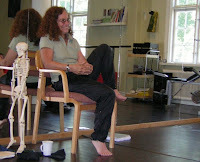 Alternatively, these are replaced with directions such as “lengthen your tail bone down to your heels” and “connect your sitz bones through your heels into the floor.” By educating dancers about how the human body functions in movement--taking theoretical concepts and applying them to the dancing body through daily exercises--Susan’s work has the ability to fill a void in traditional dance training. By working on the level of the bone, dancers learn to stop gripping their muscles and let their skeletal system work for them, maximizing their unique movement potential and minimizing injuries.